THE final bill to make Queensland's new generation rollingstock disability compliant will come in at almost $336 million. Premier Annastacia Palasczcuk today said Cabinet had accepted in full the recommendations of the Forde NGR inquiry, confirming every train would be upgraded to be disability compliant. The $335.7 million repair bill will be handed to Maryborough-based firm Downer to complete. The project blow out is more than double what was initially estimated by the government in late 2017. The Government announced in September 2017 that the rectifications would cost $150 million and would involve stripping toilets from 40 NGR trains and adding a second toilet to the remaining 35 trains on long distance routes to the Sunshine Coast and the Gold Coast. It also applied for an exemption to disability access legislation at the time. 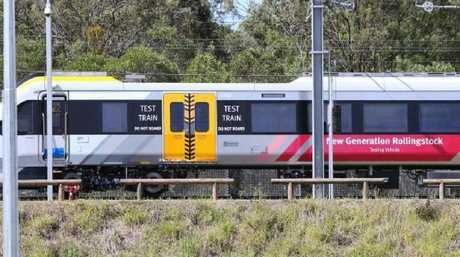 The exemption was refused, but the Government made the decision to run the non-compliant trains anyway, citing the need for extra services during the Gold Coast Commonwealth Games. Transport Minister Mark Bailey today announced a new rectification program that would involve putting an extra toilet on each of the 75 NGR trains. The change would fix a key flaw in the design, which saw the six-car units built with just one toilet in each train, leaving one of the two carriages with disability seating without a toilet. And due to Queensland's narrow gauge railway, the train aisle is too narrow for people in a wheelchair to pass between carriages to reach the toilet. The repairs would also increase the size of the toilet modules and add other improvements for commuters with disabilities. But it has significantly blown out the initial cost forecasts. Repairs will be carried out at Downer EDIs Maryborough facility under an election commitment by the Palaszczuk Government in 2017 and would be finished by 2024. Ms Palaszczuk yesterday announced the rectification work had been signed off by Cabinet. "What happened in past governments is in the past and I'm focused on the future," she said. The inquiry found the problems were known by project middle managers before the design was adopted with the signing of the contract in 2013, but were "not escalated to senior decision makers during the procurement process." The design flaw was known by Transport bosses, Bombardier claims. "The lack of advice and escalation about compliance issues was a common theme throughout the difference phases of the NGR project," it states. 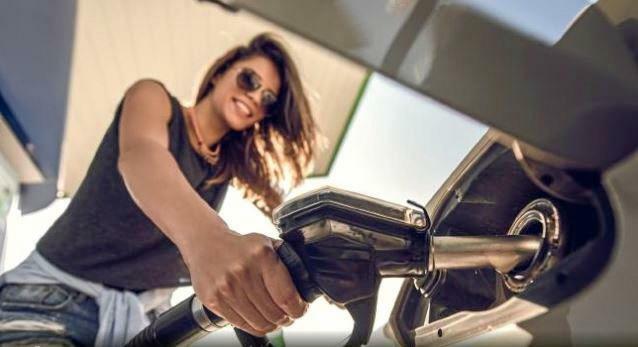 "Decisions were made to specify design requirements that were non-compliant and there was a general acquiescence to non-compliance," the report continues. The report also heavily criticised a decision in 2017 by the Palaszczuk Government to apply for a temporary exemption from the disability access legislation pending the rectifications without "engaging with the disability sector on the rationale for the application." "This was a serious oversight," it says. Mr Forde has also hinted at a potential risk of legal action against the Government. He refused to comment on any liability issues yesterday. "I'm not here to give an opinion on liability. but each of the parties signed an agreement that was non-compliant," he said. "The consequences to that are under discussion at the moment and I don't wish to comment." It comes as train builder Bombardier warned Transport department project managers overseeing the delivery of a new passenger train fleet that their design breached disability access rules back in 2012. But the then Liberal National Party State Government signed off on the design under a $4.4 billion contract in December 2013 and added clauses to the contract to the effect it knew of the issues, according to evidence provided by Bombardier to a Commission of Inquiry into the project. A New Generation Rollingstock train at Ipswich. Bombardier has told the inquiry it made clear there were issues under the Disability Discrimination Act with rolling out the six-car trains with just one toilet on board. 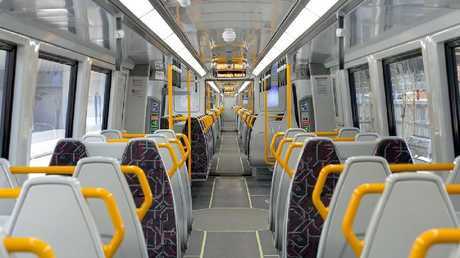 As previously revealed by The Courier-Mail, the decision left one of the NGR carriages with designated seating without a toilet, and the pathway to the adjoining carriage with a toilet was too narrow for people in wheelchairs. 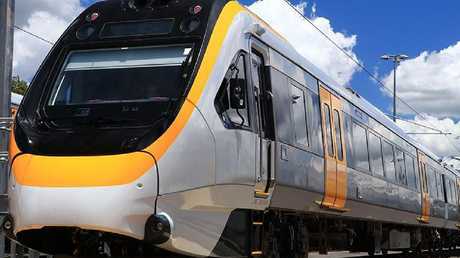 Queensland Rail was aware of the noncompliance issue in April 2012, but the design was put to Government under former LNP-appointed transport director-general Michael Caltabiano. QR has refused to comment on its role in the project. Mr Caltabiano did not return calls from The Courier-Mail. A spokeswoman for Bombardier told The Courier-Mail today that throughout the tender process and prior to the contract being signed, Bombardier consulted with the Government and made it clear the proposed design would not be compliant, specifically with access pathways and toilets. "This advice was incorporated into the final contract," she said. "Bombardier built the trains in accordance with the specifications outlined in that contract. "We believed that the final designs approved by the state reflected all of these considerations. "However, we accept the state's decision to revise the design to further improve accessibility and we look forward to getting underway with this important work as soon as possible." The Palaszczuk Government announced in September 2017 that it would rectify the trains by stripping toilets out of 40 trains and fitting two toilets in 35 trains on long-distance routes. It then made an election commitment promising the rectification work would be subcontracted to a separate company, Downer EDI, at Maryborough during the 2017 election campaign. The announcement by Premier Annastacia Palaszczuk came amid a union local jobs campaign in Maryborough and helped its MP Bruce Saunders fend off a challenge in the marginal seat. However, the Government has since been considering a new plan to put two toilets on all 75 NGR trains and is expected to sign off on the final solution after Cabinet today. It will also release the Commission of Inquiry findings by retired judge Michael Forde. Mr Forde told The Courier-Mail that the inquiry found no evidence that knowledge of the disability access issues went beyond middle management to politicians and director-generals. He revealed the probe found the project management was frustrated by multiple transfers between government departments and agencies, along with changes in Government leadership. Former LNP Transport Minister Scott Emerson's submission to the inquiry was made public today. "To the best of my recollection, an evaluation panel including representatives of Projects Queensland, TMR and Queensland Rail was established as part of the procurement," he says in the submission. "There was also a technical panel which again included representatives of TMR and QR." "These expert panels were established to ensure NGR trains met all current technical, functional and legislative requirements. "I do not recall possible noncompliance with relevant disability legislation and regulations being flagged or discussed by the evaluation panel, Projects Queensland head Dave Stewart or TMR Director-General Neil Scales with me or the then government."